The Villas of Emerald Woods Luxury Townhomes For Lease with Attached Garages in West Knoxville, TN. We have a 4.6 star rating on Google. Voted Best of Knoxville Apartments in 2016. The Villas of Emerald Woods is a luxury apartment and townhome community with 2 and 3 bedroom townhomes, reserved parking and attached 1 and 2 car garages. All townhomes now have hardwood-style floors in the living areas! Our community features gated entry, resort-style swimming pool and hot tub, tennis court, 24/7 emergency maintenance, professional on-site staff, furnished club house, fully-equipped fitness room, playground, outdoor fireplaces, picnic and charcoal grilling areas, and more. Each 2-bedroom townhouse includes reserved parking spaces directly in front of the townhouse itself and a private walled patio. All 3-bedroom townhouses include either a 1-car attached garage or 2-car attached garage with extra storage space. 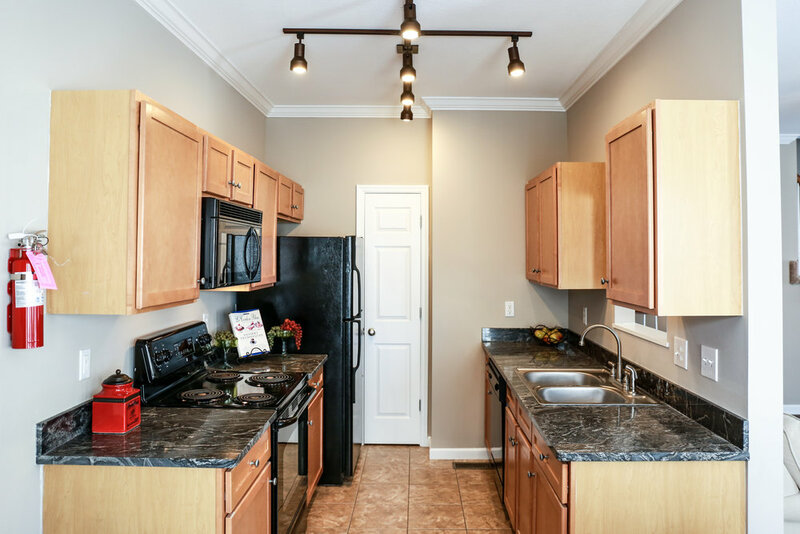 You will feel right at home in our townhome community, located in West Knoxville, minutes from Cedar Bluff, Kingston Pike, Turkey Creek Shopping Center, Pellissippi Parkway and Interstate 40. The Villas of Emerald Woods townhomes start at $1,099/month for 2-bedroom homes, $1,329/month for 3-bedroom townhomes with a 1-car attached garage and $1,424/month for 3-bedroom townhomes with an attached 2-car garage. If you are looking for luxury apartment and townhome living in West Knoxville, you've already found it at The Villas of Emerald Woods! Luxury townhomes and apartments for rent in Knoxville, TN, with attached garages and hardwood-style floors. The Villas of Emerald Woods offers luxury, energy efficient living, with private, attached garages, hardwood-style flooring, granite countertops, gated entry and 24/7 maintenance. 3 Bedroom Townhomes feature a private, attached 1 or 2 car garage. Protect you, your family and your car from the elements. Our townhouses offer 1- & 2-car garages and reserved parking in your very own driveway. NEW! All townhomes now feature beautiful hardwood-style flooring in the dining and living areas. NEW! All townhomes now include gorgeous brand new granite countertops in the kitchen and both bathrooms. We're here for you, 24/7. Our trained, professional maintenance staff is on call all day and night, to ensure you are taken care of. It’s just one of many reasons we have a 4.6 star rating on Google Maps and Google Local! Enjoy private, luxury living in our gated community. 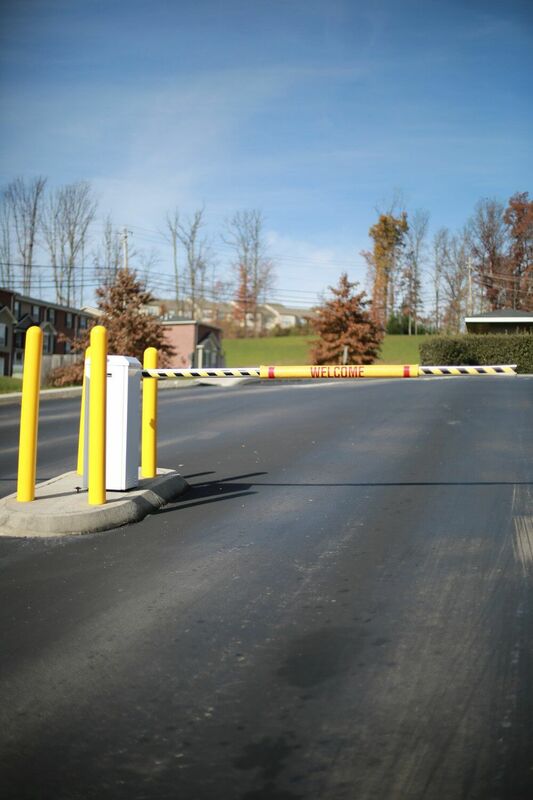 The gated portion of our community is accessible only by key card or remote controller access. Guest may call residents for secure entry. NEW! All townhomes now offer LED track lighting in the kitchen. These LED lights are not only energy efficient, but they add extra bright daytime lighting to every kitchen. The Villas of Emerald Woods Townhomes For Lease has earned the EPA’s ENERGY STAR CERTIFICATION with a 95/100 rating! Our buildings use 35% less energy than similar buildings across the nation. Click To Learn More.